Those in the WordPress world understand that security is a key concern of any online application, and that includes with WordPress. After all, the majority of updates released by the WordPress team involve hardening – or securing – the WordPress platform against continuous ingenious attacks and vulnerabilities that are discovered. No site is ever safe from being hacked, like in the real world, if someone really wants to break in they can, it’s just a matter of making yourself a much harder target so it’s not worthwhile. You should check out the following ten plugins to harden WordPress to defend your blog. Login Lockdown: when someone attempts to access restricted areas of your blog by logging in, Login Lockdown records the attempt and its associated IP address. If multiple failed login attempts are detected that come from a group of similar addresses, Login Lockdown will deny further attempts from those addresses. This is an important tool that can protect your blog from dreaded brute force password attacks. WordPress File Monitor: check the files that run WordPress for anything that has been changed, deleted, or added. When an event has been detected, the plugin sends an email alert to a user-defined address. This plugin can be vital to bloggers defending themselves against SQL injection. Bot Block: harden your WordPress installation by preventing multiple registrations from the same IP address. It also compares new registrations with blacklisted IP addresses to make sure no known troublemakers are signing up. 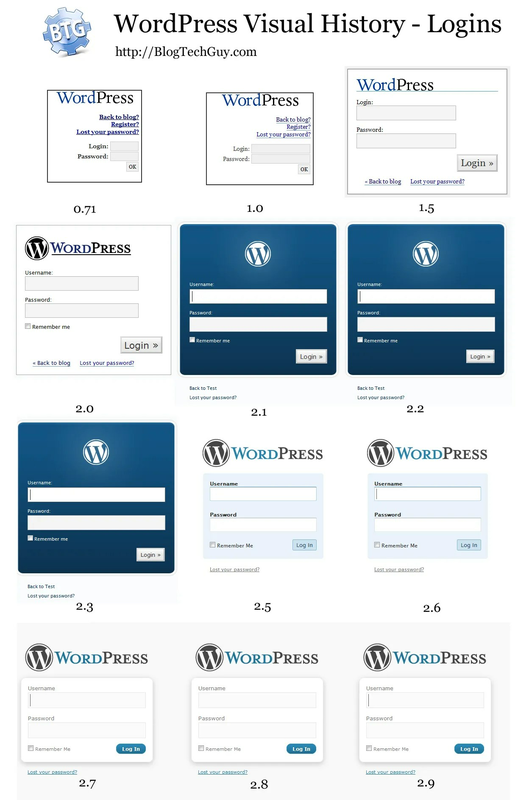 This is an effective tool in the fight against automated WordPress user registrations. Even better, if there is no reason for you to allow user registrations, prevent this by going to Settings > General and under Membership unchecking the box that says “Anyone can register”. Admin Renamer Extended: everyone knows what the default administrative user name for WordPress is. That give hackers half the information they need to access your site. This plugin will change your administrator user names including the default admin and any other admin logins that have been created. It checks the validity of user names, user names that are unfilled, and for user names that already are present in the system. Keep attackers off guard by making them have to guess your admin usernames. HTTPS for WordPress: a plugin that forces users to login over secure connections. By sending authentication information over SSL, login information is encrypted between a user’s browser and the Web host. This eliminates the risk of interception associated with unsecured logins. This is an essential tool that will help prevent login credentials for your site from being compromised, however can be difficult to configure and is not always compatible with your web server or the latest version of WordPress, so be careful! WordPress Security Scan: finds vulnerable areas of your blog and recommends specific actions to take to harden it. Because there is so much involved in security, this is a great tool to help make sure you don’t miss anything. AskApache Password Protect: protects important folders like wp-admin, wp-include, and wp-content, guarding against automated and manual attacks against your WordPress blog. WordPress Exploit Scanner: this plugin will look through all the code in your posts, comments, and plugins looking for something suspicious. Often attacks on WordPress enter through these three paths, so take the time to guard against exploits by installing this plugin. Don’t worry about the plugin making any mistakes either because it relies on the blogger to take any necessary action. The WP-Scanner: scans for weaknesses within your WordPress installation, checks to make sure you have changed your table prefixes (you did, didn’t you?) and a variety of other important steps that need to be taken to harden your blog. Stealth Login: create unique URLs that are used when logging in and out of your blog. This plugin can also be used to keep registered users from logging in using the wp-login.php file. By making it difficult for attackers to find your login page, you have just made your blog more secure. Finally you may want to check your wp-config.php file has file permissions of 644 and not higher – this has been the cause of the latest “security scare”. This was a guest post by Tom Walker who is the lead editor of the CreativeCloud blog, which he runs on behalf of a leading supplier of franking machine ink based in the UK. Old school print ads, book art and modern print design are among the topics he most enjoys writing about. If you’d like to write a guest post for Blog Tech Guy, get in touch here. WordPress themes are available for free, for a “premium” or for more money a custom personal theme, but how do you choose between which type, and then choose which theme? I’m a blog customizer, I spend my days editing, changing and (hopefully) improving blogs, so I hope I’m in a position to know what I’m talking about. A question that I get asked regularly is “Should I buy a premium theme?”. This is the wrong question, the real question is “What theme is best for me?” whether that’s a free one, a premium one, or a custom one. – “Theme” – the design of your site. Sometimes called a skin, or a template, it’s the ‘clothes’ of your website. Template is often used interchangeably as themes are made up of template files. – “Magazine Style” – all this means is rather than showing the Posts in a list on the home page they may show the top posts from different categories, perhaps with an image slider for the latest or featured posts. There are many examples that we’ll go through below. – “Columns” – Your content counts as a column, so a two column theme means one content column and one sidebar. If you want two sidebars, you will need a three column theme. – “Widget ready” – You can use sidebar widgets, so can manage your sidebar more easily. Also sometimes called “widgetized sidebars”. – “Flexible Width” – The width of the site will expand and contract depending on the width of the browser window and/or the users screen size. The alternative is “fixed width” and is more commonly used. – “Theme Options” – Some templates have an options panel to configure elements of the site without any coding. – “Child Theme” – This is a theme that works off another (parent) theme. Sometimes these can be referred to as skins but more accurately are a separate theme you install which requires the other ‘parent’ to work. – “Theme Framework” – Used to describe a basis from which other themes can be created. Thesis and Headway are often described as theme frameworks outright, while Woo Themes and StudioPress create all their different themes based on their own frameworks to provide commonality of options and coding. So the first thing to do is to take a look at what you like the look of. Then we can talk about your skill level and knowledge with regards to changing the theme. There are a lot of free themes out there, and just because they’re free doesn’t necessarily mean they’re any less well written or lack some of the options of their paid-for counterparts. http://wordpress.org/extend/themes/ is the official repository of themes, with over a 1,000 of them for you to peruse. With thousands of options it can be hard to choose and time consuming. However this time is not wasted as will give you an impression what is out there and. Most sites give you filtering options so you can narrow by by color (though colors can be changed), layout, number of columns and so on. So what are the good free WordPress themes? Atahualpa has a LOT of back end options to customize your site (and possibly the World’s Largest Save Button™); Thematic looks basic but has a lot of widget ready areas for easy customization; LightWord is clean and simple; I do love Mimbo for a magazine layout that now has a Pro (premium) version too; Freemium looks great; The Latest is clean and bright for a magazine style theme. There are plenty more great ones, even one that looks like the WordPress Dashboard. Why would you want this? I’ve no idea. – Theme options menu. This can range from changing colors, to changing layout, adding/removing links, advert blocks, SEO options, from the simple to the very complex. – Support forums. This is the preferred way WordPress/Automattic want premium authors to offer differentiation to free themes, by providing a support forum. Most good premium themes will have a support forum to answer your technical and how-to questions. Do not underestimate the value of this, often you can cut and paste from a similar question that has already been posted to easily solve something that has been bugging you for days. – Updates. As the theme author is getting paid for their work they will often provide updates that fix bugs or add features. Usually these are free upgrades to paid members. There main disadvantage is that licenses can be restrictive. You may only be able to use it on one or two sites, or there may be some footer attribution link back to the author that you cannot remove. Personally I try to avoid these, and go with GPL themes – you can read more about GPL WordPress themes here – but to summarize it’s best to go with GPL if you can. Go here for a list of commercial GPL themes. 1. WordPress.org Commercial GPL Themes – the official list. 2. Solostream offer them mostly in “magazine-style” and have been recently updated with pretty great selection that have nice features, particularly the auto-thumbnail resizing and a featured posts slider/glider. 3. Woo Themes have some free options too but an awesome selection of paid-for themes. Regularly updated, they have themes in all different categories for different types of websites, plus each theme usually comes with between 5 and 10 in-built colors schemes you can switch between. Usually there are a great number of menu options too. They have an excellent demo viewer on their site where you can switch between any template and style. 4. StudioPress sell the Genesis framework and a great selection of child themes. 5. Thesis is the daddy of all premium themes though it is lagging behind a little at the moment (the new version will address that I’m sure). Brilliant and a pain to work with in equal measure, it gives you a vast number of menu options, but something as simple as adding a header image is a mystery to the new user. Changing layouts, fonts, colors and what appears on the page is as easy as can be (and as fun), but it’s plain vanilla “out of the box” and can take some time and knowledge to make it look different to all the other Thesis sites out there. 6. Headway has a unique Visual Editor that lets you easily change the layout and look and feel of your blog right in front of your eyes. This makes it simple to change colors and fonts, and completely removes the need for any coding. There is a learning curve in how the system works and what the options do, and it’s not perfect (yet) in many ways, but is a fantastic option for the non-technical blogger. 7. Theme Forest is different as it takes user submitted themes and sells them for a commission. 8. Builder Theme from iThemes is a great theme with a massively user customizable layout via a menu options page. They have lots of other great themes there too, but BUilder has a powerful, if potentially overwhelming, set of options. The truly professional blogger will get a unique custom theme. The advantage of this is that no-one else will have the same design as you, and you can brand it more with your own, or your business personality. This can be done from scratch, or is often done using a customized premium theme framework like Thesis or Headway or others. There are different ways of approaching it. You can get a designer to develop a design of your site and then send it to a coder or customizer like me who can then code it onto the theme framework of your choice or from scratch. Some companies design and code themes, I actually didn’t design my own site, which gets many compliments. This was done by the wonderful guys over at Unique Blog Designs. The downside of course is the cost, and it can be quite substantial whether you pay a designer and coder separately or together, it doesn’t come cheap. However it’s your site, it’s your brand, it’s your business. An advert in the paper or Yellow/White pages lasts only a short time and can cost 25% of a unique blog design. It’s an investment like any other. So how do you choose a theme? – Design/look. This is the #1 criteria if cost is an issue. The closer the design is to what you want then the cheaper it will be in terms of paying someone (like me) to change it, or in terms of your time changing it yourself. Do you care if other people have the same theme? If not then a free theme that looks the way you want it will work fine. – Theme options. Some free and most premium themes come with menu options that control a variety of things. Do you think you’ll want to easily adjust colors? Or choose between different layouts? Or select how posts appear and perhaps from different categories? Then you may need one that has a strong options panel. – Technical expertise. Do you know some CSS and HTML? Are you comfortable changing how to query posts using PHP? If so, or you think you can learn, then design is again your #1 factor. If not, then best to make a choice that doesn’t involve these unless you can find someone to do them for you. – Exact requirements. If you require an exact look and feel then you (or someone else) will need to customize either a free or premium theme, or get a complete custom one written for you. Beauty is in the eye of the beholder and I’ve worked on some great and horrible looking sites that the owner has thought the complete opposite and either hated what I did or loved something I loathed. My place is not to judge, it’s to do what is required, and help you make the best choice for your circumstances. If you have any questions please let me know. Have I missed off your favorite? Are there are other great themes that I should recommend? First, Scribe SEO is a brilliant tool. It’s a premium (aka paid-for) WordPress plugin that will help with SEO for your blog posts. It attempts to make SEO copywriting much more simple than it is now, and while you still need to pay attention to creating good headlines and interesting content, it may help with the final optimization steps that you’ve been missing. One of my clients called it “one of the best tools I’ve ever bought” and I wholeheartedly agree. It’s not often something as easy and useful as Scribe SEO comes along. If you haven’t checked it out yet, there is a free trial on the website. Like with anything great out there, I think it could be even better, so there are a few things I would do to improve it. 1) Have the Review window open in a new browser window/tab. The hover over window is no good to anyone, it opens up over the content you’re editing and areas that you need to alter, so you need to close it to alter then go back to it for the next section and so on – I end up opening the post in another window so I can edit it there without switching back and forth. At least give me the option. 2) When it tells me I need my primary keyword near the start of the title, it should tell me what my primary keyword is and say “Move Primary Keyword Scribe SEO to the beginning of the Title”. Otherwise I have to look it up to see if it’s different to what I think it should be. Lazy of me I know, but it’d be a time-saver of at least 5 seconds. 3) The Tags page/tab of the Review window should allow me to edit tags right there with the list of suggested tags. Even an “Add all tags” button would be nice and handy. Yes, some of them are picky and personal, but when a tool (and an SEO tool at that) is this great it’s the little things from using it that can make it that little bit greater. You can watch my quick video of Scribe SEO here, or take a look at the Scribe website here.